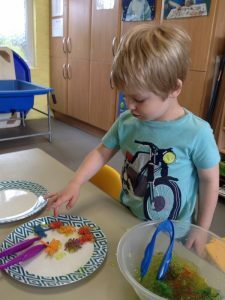 The children love listening to the story of The Very Hungry Caterpillar, so this spring at Holy Apostle’s Preschool Cheltenham we decided to develop our activities around this favourite story. We have collected lots of the items from the story in our story box. 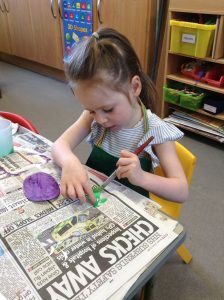 The children have helped to draw a story map and this, together with the picture cards of the storybook, enable them to retell the story to each other. 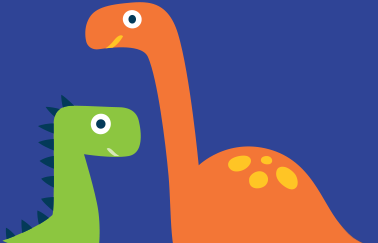 We encourage the children at Holy Apostles’ Pre-school to take the story boxes to share with their parents. 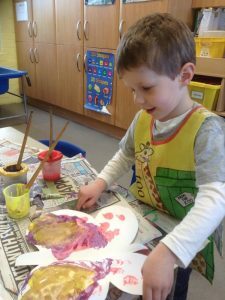 Read more about how we aim to make our preschool a happy and inclusive setting with our Preschool Promises. In this picture Leo and Jack are using the props to retell the story. This activity then prompted the children to count the fruit and sort it into groups. 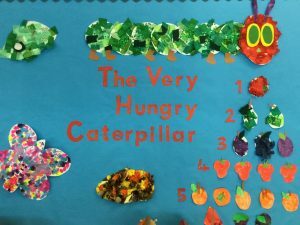 They recalled the days of the week when the caterpillar ate a particular fruit. We talked about the lifecycle of a butterfly, which linked with our next activity… bugs in jelly!! 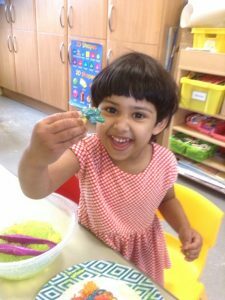 Serah was very excited to find bugs hiding in the jelly; she used the tweezers to pull them out. 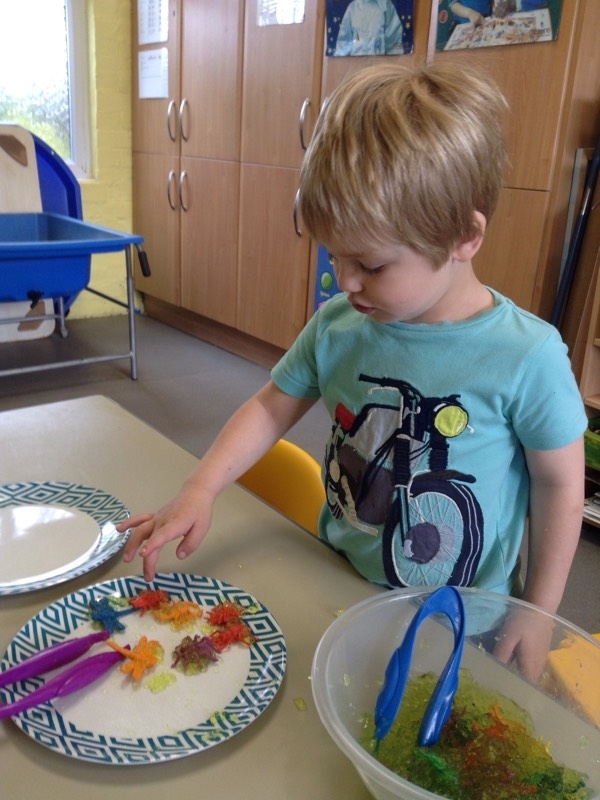 Charlie decided he would count the bugs to see how many he had found in his bowl of jelly. 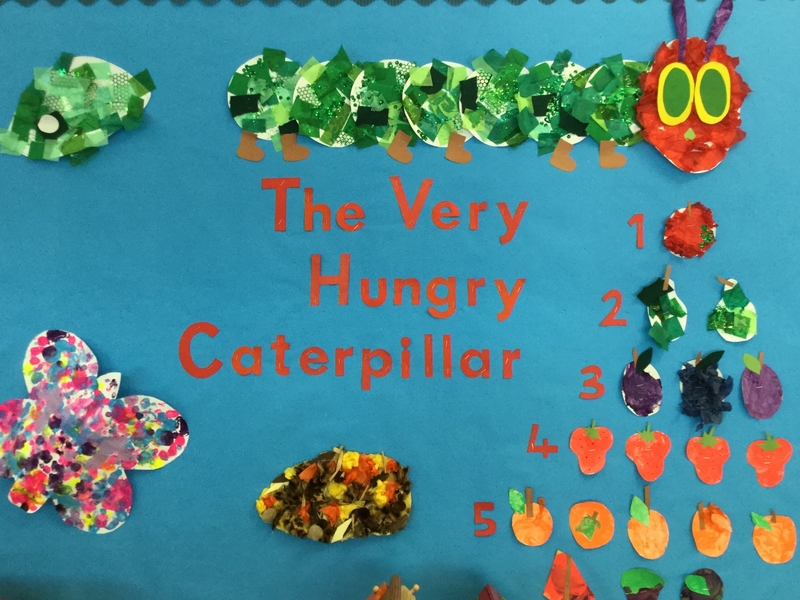 The children also started work on their wonderful display board, which depicts the lifecycle of a butterfly. They made all the different stages including the caterpillar’s segments and the fruits that the hungry caterpillar ate. 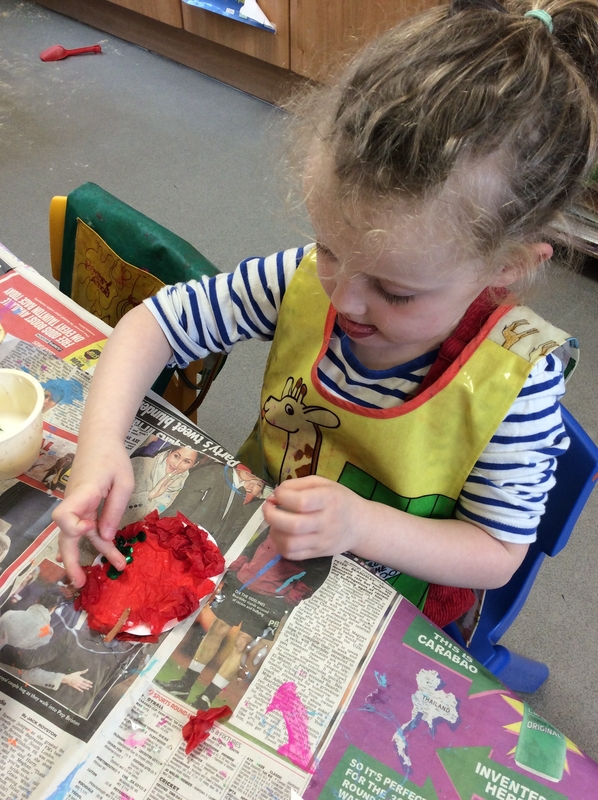 The children chose which part of the display they would like to paint and were very keen to see the finished board. It makes our preschool in Cheltenham look beautiful! We used the board at carpet time to talk about the lifecycle of a butterfly and also to match quantities and numerals. 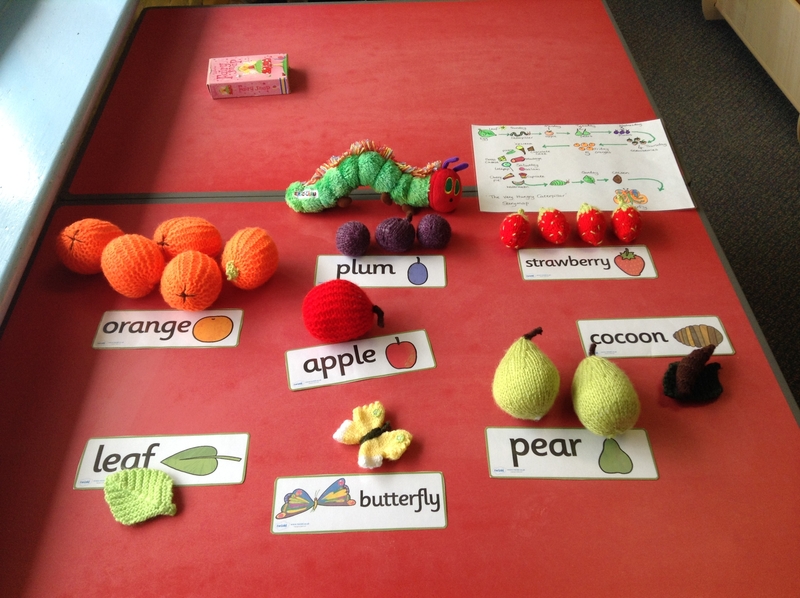 The children were able to name all the stages in the development of the caterpillar into a butterfly. 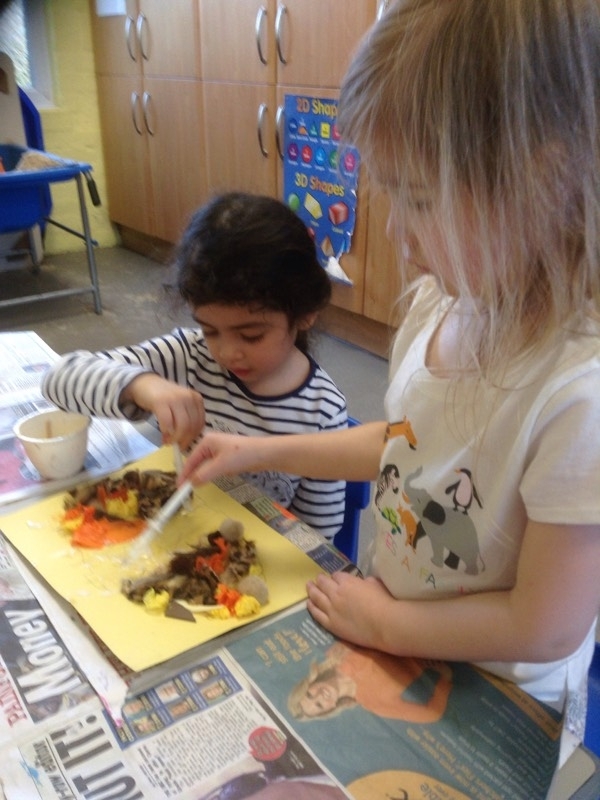 We also included healthy eating in our discussions! 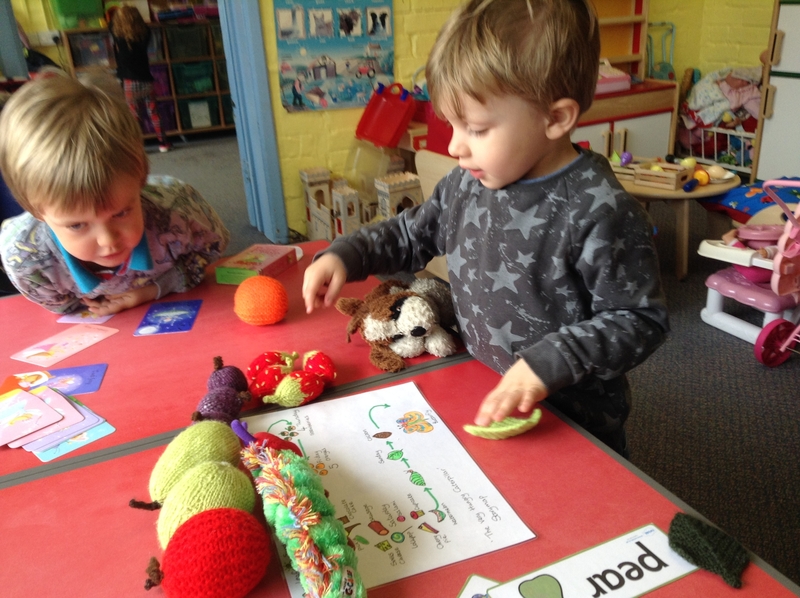 The children were able to identify the healthy food that the caterpillar had eaten and to suggest why he had a tummy ache! 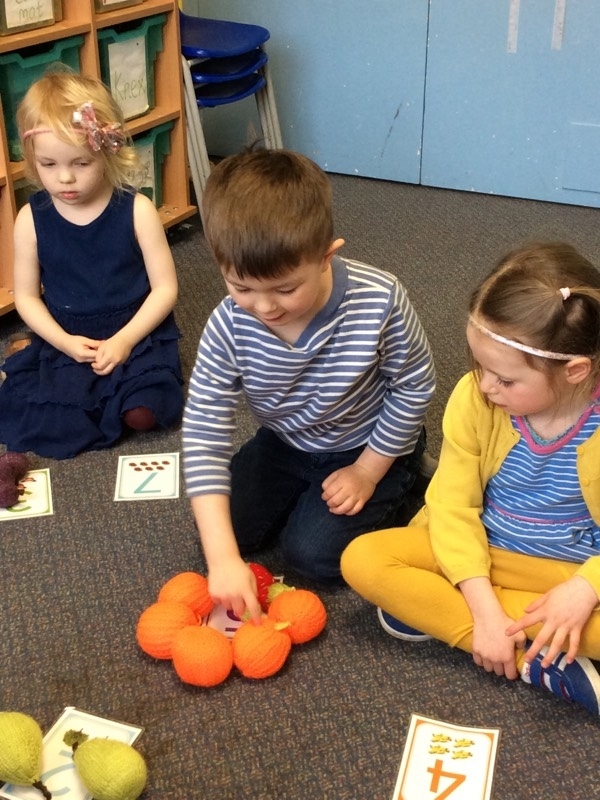 Jonah and his friends had lots of fun counting the fruit and selecting the correct numeral to identify the group. We ended our topic by making beautiful butterflies for our display board. We talked about how the colours blended together. 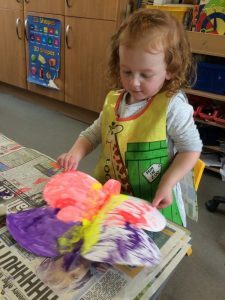 See how Jasmine has produced a beautiful marbled effect by painting one side of the butterfly then folding her paper in half to print the colour on the blank side! We also talked about symmetry and Dylan was excited to open up his butterfly to see the print on both wings! The Hungry Caterpillar has provided some absorbing activities at Holy Apostles’ Preschool Cheltenham this term. If you don’t already have a copy at home we can thoroughly recommend it!